Congratulations to John Bletsoe on winning the latest 50/50 draw. 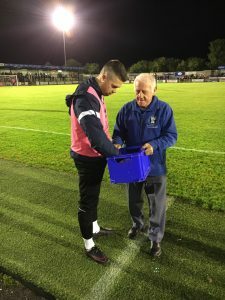 John’s winning number 87588 was drawn out by Salisbury FC player Dan Fitchett. 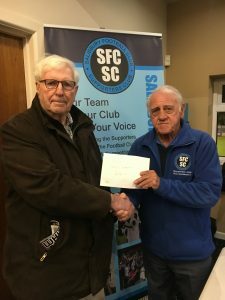 John would have been disappointed with last night’s defeat in our cup replay against Weston Super Mare, but his prize of £276 may have helped.